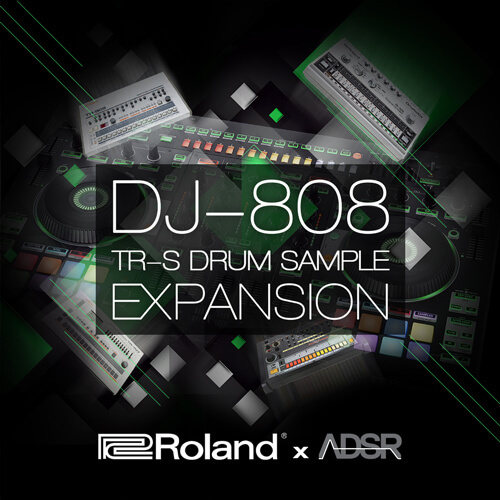 The production team at ADSR have taken to sampling duties to bring you a customized set of 32 classic Roland TR series drum machine samples for use with the Roland DJ-808 and the Serato DJ Sampler. These custom sounds were sampled directly from a TR-606, TR-707, TR-909 and TR-808 through a classic E-MU Emulator III XP and the ubiquitous Roland MV-8800. All samples were then parallel processed thru a series of analog outboard gear including the Thermionic Culture Vulture, OTO Machines Biscuit & Boss DS-1 for some serious saturation and drive. Simply drag and drop these samples into the Serato DJ Sampler to get started. With the Roland DJ-808 TR-S sequencer connected you can immediately begin creating interesting new beats and rhythms. Push the boundaries of the TR-S drum machine with the ability to layer any of the 32 new TR custom samples on top of pre-existing patterns or create entirely new ones.